we attended the small workshop for clarins' reformulated shaping facial lift, made especially for asian women who are prone to more round-ish face shapes. when the invitation said it was to be held at glorietta's grandmall area, we didn't realize it was really to be held in the middle of the mall! 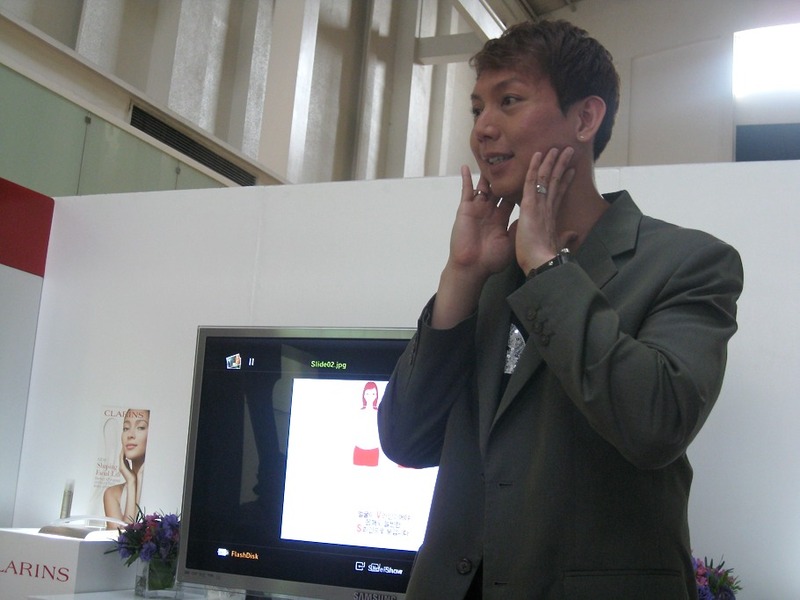 we met jason au, the regional trainer based in singapore, who told us all about this new-ish product. 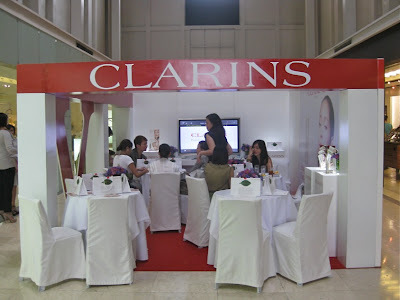 clarins shaping facial lift (P3,950) available at all rustan's.